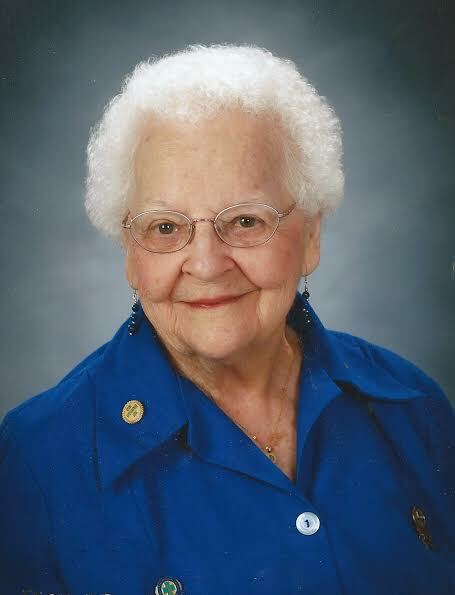 Dorothy (Dot) Lucas, 92, of La Marque passed away on Sunday, May 11, 2014. Dot was born in Austin on October 18, 1921, to the late Luther and Jewel Farris. She graduated from Austin High School and earned a bachelor’s degree in education from the University of Texas at Austin. Dot married the late John Lucas shortly after college. After a 35 year teaching career, Dot retired from Westlawn Elementary School in La Marque in 1980. She was a beloved member of the La Marque community and a Charter member of Saint Michael’s Episcopal Church. Dot volunteered for 50 years at the Mainland Medical Center Auxiliary where she was bestowed the First Humanitarian Award. An avid writer and poet, her award-winning essay honoring the American flag was submitted to the Congressional Record in 1996 and read on the floor of the House of Representatives. Dot authored Westlawn Elementary’s school song, was the designated poet for Mainland Center Auxiliary’s annual service theme, and was known for wearing her clown costume every year to cheer up the children at the hospital. 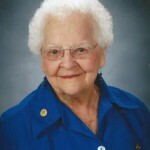 Dot is a member of Delta Kappa Gamma and a Life Member of the Texas Exes Alumni Chapter. Dot’s fondest memories were attending UT football games with Johnny and dancing the jitterbug at the Alumni Center while the University band played the “Eyes of Texas”. Dot is preceded by husband, John; son, Scott Lucas; brother, W.L. (Dub) Farris; sister, Mary Lee De Berry; nephew, Larry Farris; brother-in-law, Drew De Berry. She is survived by her daughter, Donna Stanley of La Marque, and son-in-law, Dicky Stanley. She is also survived by two grandchildren, John Stanley and Julie Dickman; grandson-in-law, Al Dickman; great-grandchild, Mia; nephew, Nick DeBerry; niece Candy Olson, and her husband, Ivan; and other relatives. Dot’s family wishes to thank caregiver, Dorothy Rhodes, and nurse Setha from AMED hospice services. Visitation will be held at Crowder Funeral home in La Marque on Wednesday, May 14th, from 5 to 7 pm. Funeral services will be Thursday, May 15th, at Saint Michaels Episcopal Church in La Marque, at 10:00 am. Mrs. Lucas was a wonderful lady. Had some very good quality time with her when she was volunteering at Mainland Hospital. She was a very caring and kind lady! I’m so sorry for the loss of your wonderful mother. I know Heaven must be an even brighter place because she’s there. We had so much fun when she substituted at Inter City. I want to remember her as she was, so I will not be a the services. I will keep you in my prayers. We are so sorry for the loss of your mom. We will always remember her in her pink jacket with the Ladies’ Axillary with a big smile. Keeping you and your family on our thoughts and prayers. We are sorry to hear about the passing of Mrs. Lucas; our condolensces to her family and friends. I have to call her “Mrs” as that is all we were supposed to call her! My dad was Michael Clayton, the principal of Westlawn for many of her teaching years. My dad and my mother were very fond of her, and we knew her all through our childhood as a very friendly and always-smiling person. She was always “there” all through the years. We appreciate her friendship to our family, and her loyalty to my dad and all of the students at Westlawn. I will miss her sweet face with those sparkling eyes and that incredible smile that made everyone feel so special! One of my “other mom’s”! love you and praying for you. So sorry to hear of your loss. Mrs. Lucas was my favorite substitute teacher and such a caring person. I will never forget her. Mrs. Lucas was my 1st grade teacher. She was a wonderful lady. May she rest in peace and my condolences to the family.